You must make bookings at least 5 minutes in advance of the time at Afternoon Tea @ Mirror Room. Taking inspiration from London's vibrant and energetic art scene the art-inspired afternoon tea includes a selection of mouth-watering finger sandwiches, freshly baked scones and loose leaf teas accompanied by a art-inspired pastries, created by Executive Pastry Chef, Mark Perkins. 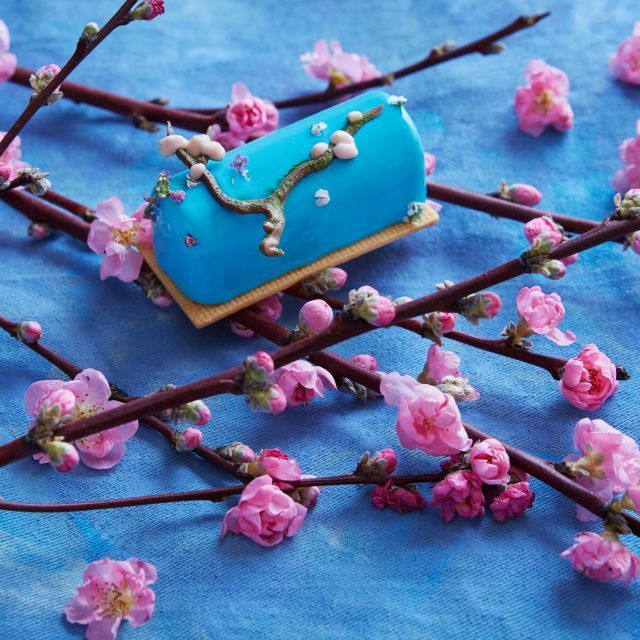 His latest creations are inspired by some of Van Gogh’s most famous paintings including the Sunflowers, Almond Blossoms and The Starry Night. A great, all-round experience. Excellent food, service and presentation, in delightful surroundings. Helpful and knowledgeable staff, creative cakes, cracking selection of teas. Just be aware that it is not a budget option, particularly if the champagne option is selected, and that extra glasses of bubbly coast almost as much each as the tea itself. Otherwise, dive in, it's delicious. It was an incredible experience, great service, beautiful surroundings. They made every effort to accommodate my allergies and do so in line with what everyone else on the table was having. 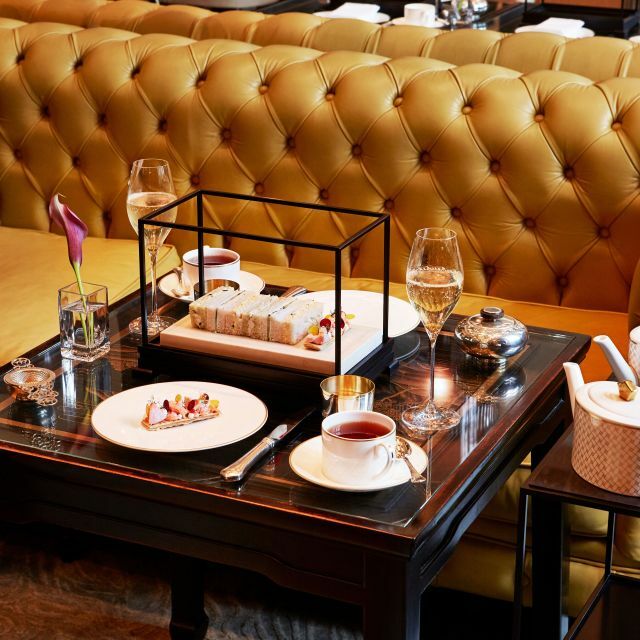 The Rosewood continues to raise the bar when it comes to its Afternoon Tea. 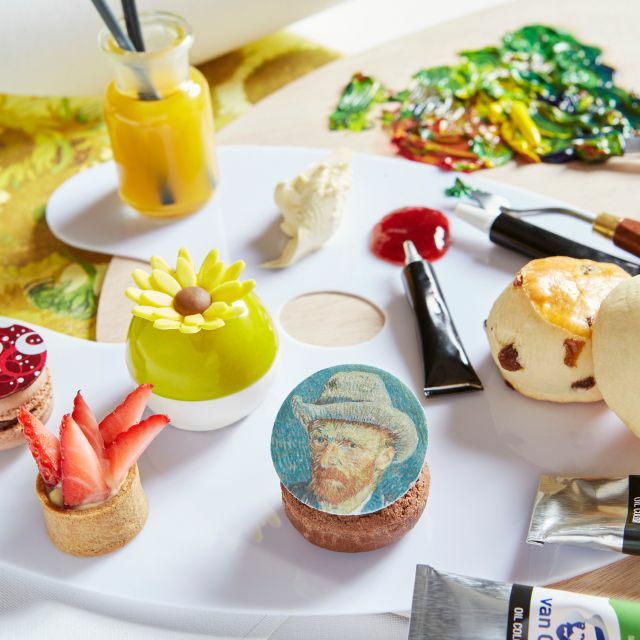 Having previously experienced its Art Afternoon Tea last year, this year's incarnation of the Van Gogh Afternoon is sublime and showcases incredible creativity and finesse in its execution. Enjoying a few cocktails prior to afternoon tea is something I would highly recommend given the calibre of the mixologists the Rosewood has to offer. Dom Perignon is well paired with the Afternoon Tea and I would recommend taking the curated Tea pairing with the Afternoon Tea courses. Also, do consider ordering the Maori Blue tea - even if the supplement is on the high side, as the tea is one of the finest you can enjoy. Super friendly service ... and certainly one of the most special afternoon teas I’ve ever experienced. Lovely time at tea. The desserts are gorgeous. Truly are edible art. We had a lovely tea - the service was impeccable and Chef Mark Perkins' creations were true works of art; as delicious as they were beautiful! The tea selection was large and tempting. I especially enjoyed the white tea. It was the experience that we had hoped for. It was a wonderful afternoon. The tea cakes were a work of art and the setting was lovely. 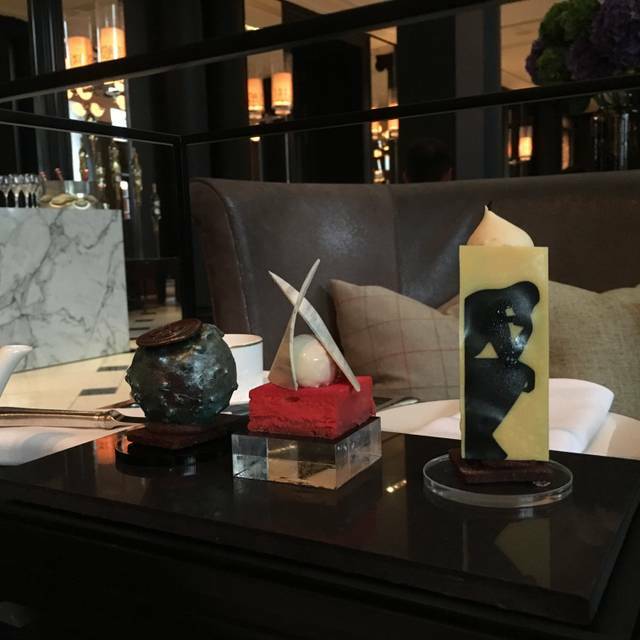 Very posh and artistic dining experience! All the food tasted amazing, as well as the tea and champagne. Fairly pricey, but definitely worth it! The food was delicious the cakes exceptionally good and such a high level of craftmanship. the research of the chefe showed in his designs. Staff were attentive and knowledgable. Really delicious food and not overwhelming in quantity (did not feel bloated or sick after). Kleti, our waiter had impeccable knowledge about the tea selection. I chose the tea pairing, which I thoroughly enjoyed. My husband and I also indicated that we were celebrating our anniversary and the restaurant added a special touch. 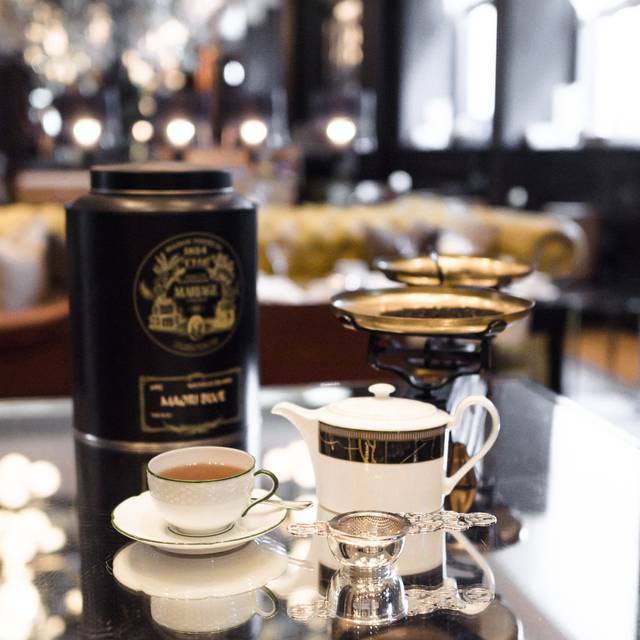 Highly recommended for tea connoisseurs and someone looking for an elegant afternoon tea experience. Really nice location and great service but compared to other afternoon teas it wasn't very good value for money. The Art cakes were impressive but we found it really odd that we were expected to share between us despite being 2 separate paying adults, and we have subsequently been intrigued by what would happen if there were 3 of you ( or you are alone) . To be honest we weren't really able to appreciate them as it felt like we had just had a round of desserts already ( the cakes and scones), and despite them offering to box them up so we could take them away this was again impractical given that we were going separate ways and actually trying to share them was difficult, as they were more mousse- like than cake-like. So a nice enough afternoon tea but overpriced and the whole cake-sharing thing made it seem weird and a bit of a rip-off. Good pastries and desserts, however sandwiches were very weak and I did not think it was worth the price. We went for the tea pairing and and it was quite enjoyable. Great experience. Very good standard. Delicious food and very good pairing tea’s. Worth a drive! Aside from the unexpected fire alarm, this was a lovely afternoon the memory of which my daughter and I will cherish. We had afternoon tea at Sketch just a couple of days before we had afternoon tea here. Not even close to the experience or the food we had there. Don’t waste your money. Glamorous interior, friendly staff, superb food and plentiful, delicious drinks and cocktails, relaxing ambience. Highly recommend for the discerning afternoon tea fan! One of the best we have had! I came with girl friends on a Sunday afternoon to celebrate my birthday. I had special food requirements which I advised by the time of booking and I was reassured on the day that the kitchen and the staff were well aware. The service was great and very attentive. They offered alternatives if there was anything we weren't keen on and also offered a refill of sandwiches. We all thought the chicken one was the best. Then came a round of scones (very delicious) along with some 'classic' desserts (Ferrero rocher, Jaffa cake etc) with the Rosewood pastry chef twist. Lastly was the contemporary art pastries which were as impressively looking as good. By then we were too full to enjoy them onsite but were offered to take them away which we did and so transported back home the pleasure and taste of this special afternoon tea. The setting was elegantly modern and quiet which allowed us to chat without having to raise our voices. A lovely afternoon tea with an arty twist that I would recommend to anyone to which it appeals. Afternoon tea was delightful. Beautiful to look at and tasty to eat! Our server was excellent! Friendly and efficient!! The location is beautiful. All I want to say is that the SCONES were really really delicious, especially eating together with the cream and the Yuzu sauce. An afternoon to remember ! Beautiful decor and environment with very attentive staff. Do not overdo the savoury section or you will struggle with the delicious but very rich arty finale cakes! This afternoon tea was everything it promised. I took my partner for her birthday and was surprised by an additional piece of art. 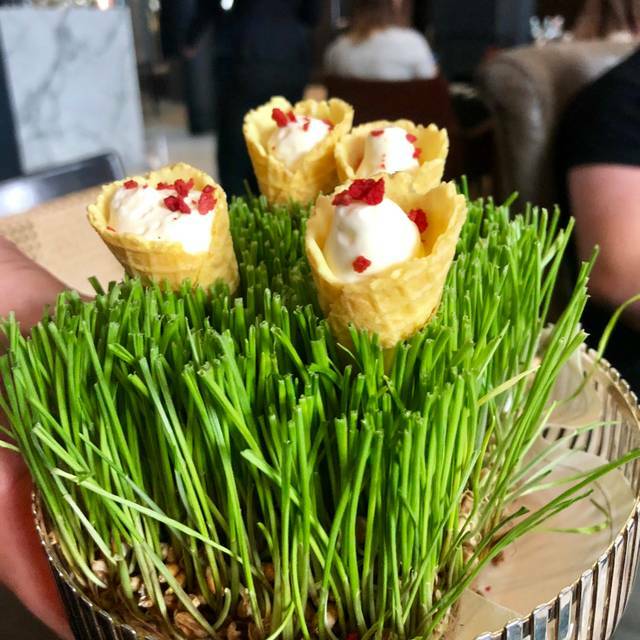 The only slight criticism I would have is that the forks were massive for such dainty cakes. Exceeded expectations. Great food and service but pricey. Incredibly friendly and welcoming staff, delicious afternoon tea and we even had two more sandwiches after all the cakes! True five star experience. A very nice afternoon tea but not the best I have had. The cakes were too much the same and too many mousse cakes makes it very rich to eat it all. Really nice place, I was a little bit disappointed by the pastries, too sweet and too heavy. But excellent service. 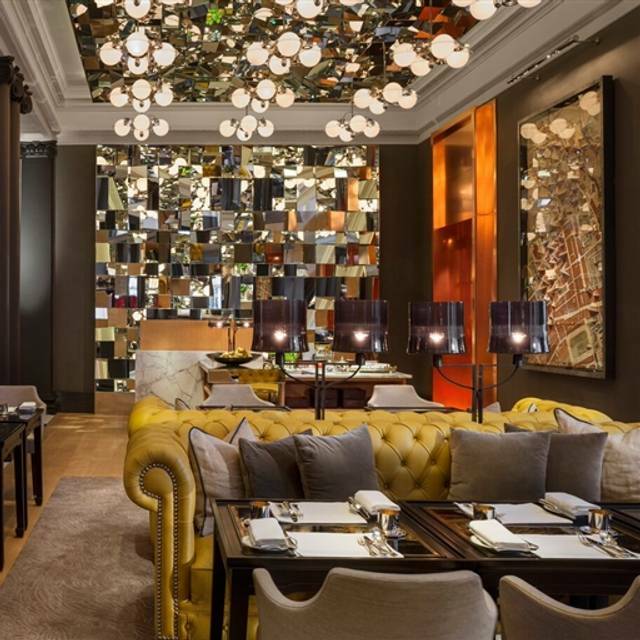 It was simply outstabring, the atmosphere, the food, the service, the location and the mirror room. All was such perfect. Special thanks to our matrè. In service the afternoon/evening of 19/01. Thanks ! They put on vegetarian sandwiches for me which was great. Very friendly and knowledgeable staff. Very posh but didn't feel pretentious. I’ve been to many afternoon teas and the one in Rosewood turned to be Very disappointing experience! The food was average and the waiters didn’t even know what they were serving. Embarrassing. Also tea was tasteless, basically hot water with a bit of flavor. 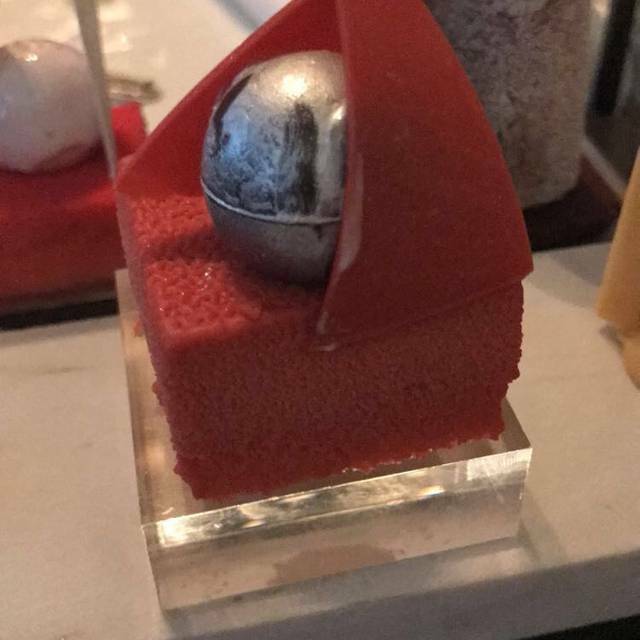 The most overpriced food experience I’ve had. Won’t be returning. Outstanding and best afternoon tea in London. Never disappoints. Whilst the service was impeccable and food great, it was quite disappointing when we booked the 12.15 slot for afternoon tea specifically for my 2 yO to meet Father Christmas, which was guaranteed. We were then told he arrives at 2pm and we would have to give our table back. The waiter tried is upmost to get this brought forward but no luck. When Father Christmas did arrive it was literally 4mins day at the table spoke then up and off. Trying to tell a toddler to wait for 50 mins (tea finished by 1.30pm and Father Christmas arrived at 2.20) was very difficult. If I had been told when I booked this was the case, then I would of asked for a 1pm slot or something. £230 is a lot of money for two adults and a toddler and she was dissoaonted which broke my heart! The afternoon tea, sandwiches, cakes were amazing and service was impeccable - a special mention for Alfred who made our afternoon perfect and couldn’t do enough for us. Great afternoon tea. Sandwiches are especially outstanding. Our festive afternoon tea was delicious and the attention to detail was impressive. Would definitely recommend any excuse to visit the Rosewoods mirror room as the decor and ambience is spot on. Beautiful and delicious in every way.